Compared to other capital cities in Europe, Bratislava is really tiny. But besides that, there is something special, something that represents its own magic. The best proof for that are tourists which drop by during the whole year. Does this relate to friendly hosts and hospitality? Who knows. Or is it because of the friendly prices? Maybe that is the case, but comparing to Prague it is not that crowded and you have an impression that in some way you have the town for yourself. But let’s be honest, highlights of this city are historical architecture, domestic food, traditional drinks, and definitely beautiful women. There is a lot of things you can admire, a lot to new experiences to enjoy and a lot of new memories to build. So follow us along and find out some cool fun facts about this beautiful city. PARTYslava is a nickname that pops up when talking about this city. There is something special in the Old Town area where you can find a lot of exciting things to do and find spots to hang out. This place is vibrant and full of life. It means that if you are searching for fun this is a place to be. Here you can visit some of the best local restaurants and try some of the best domestic food specialities, tour through bars to enjoy “few” drinks and finish the night in style in some of the nightclubs where you can blend with hype clubbers and enjoy DJ performances with some champagne, just to spice things up a bit. 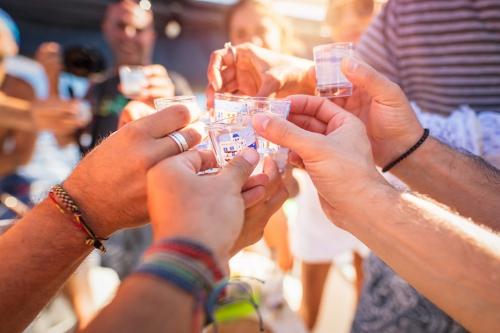 Partyslava is the name which sticks because it is reflected through spirit, positive energy, and the best nightlife. It is a Mecca of a great time, highlife and for a good reason, it is Europe’s stag do capital. This Europe’s capital lies on the borders and flirts with Austria and Hungary. That makes it the only one capital in the world that borders with other two independent countries. Vienna, the Austrian capital, is just 60 km away! Both cities are stretching on the Danube river bands and you can enjoy sightseeing on a boat cruise since touring from Vienna to Bratislava is only 90 minutes long. This is one of the most jaw-dropping facts about Slovakia and Bratislava. The amazing number of 180 castles and 425 chateaux speaks for itself for a country with the entire population far smaller than the city of New York! 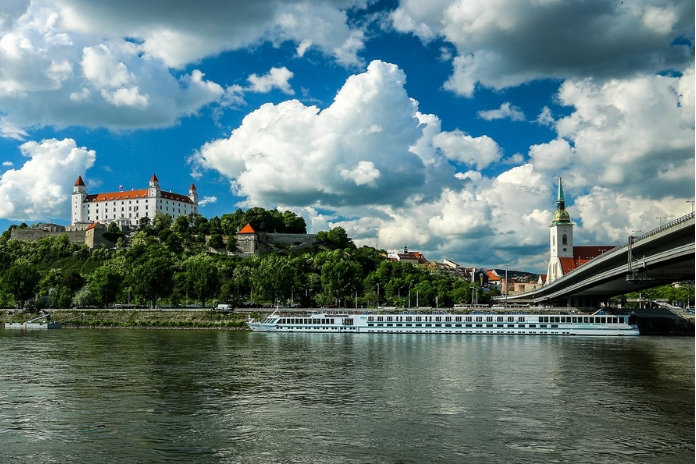 One of the most popular castles is Bratislava castle, that draws thousands of visitors every year. This massive rectangular building with four corner towers which proudly stands on an isolated rocky hill of the Little Carpathians directly above the Danube river is been a dominant feature of the city for centuries. Slovakia is in the top 3 countries with the most beautiful women in the world. Probably nobody who visited Slovakia stayed immune on natural charm of Slovak women. Naturally, you can meet a majority of these beauties during the walk around Bratislava. But maybe it is best for you to visit this city and find out for yourself why these women get so much attention!